Axwell /\ Ingrosso recently unveiled a short film recapping their summer. 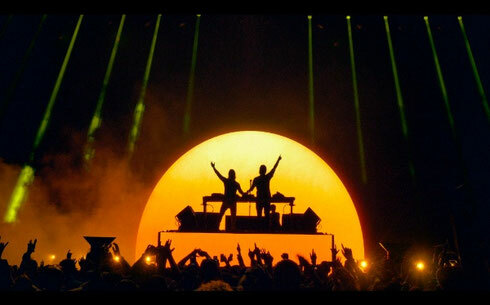 The film, which was made by their long-standing creative collaborator Nicolas Caeyars, chronicles the duo’s summer performances, including their residency at Ushuaia Ibiza, headline show at London’s Alexandra Palace, the Billboard Hot 100 festival and many more. Their new single ‘This Time’ will be released on 6 November. 2015 has been a good year for the the Swedishproducers, totting up well over 200 million plays of their tracks worldwide, launching the H&M summer campaign with ‘Sun Is Shining’, and soundtracking the most successful Beats By Dre global campaign of all time with their hit ‘Something New’. Their live show has been around the world, taking in Ultra Music Festival, Coachella, Creamfields and countless others. They recently played a headline show for ADE at the Heineken Music Hall in Amsterdam, while also launching the #THISTIME initiative with charity UNHCR. The profits of their upcoming single ‘This Time’ will be donated to help refugee children who are unable to return to their homes. The duo will soon announce details of their forthcoming debut album. Check the video out below.